Broken Sound Club, a 5-Star Platinum Club, unveiled today its latest $13 million lifestyle investment completed as the final phase of a three-year $26 million transformation program. 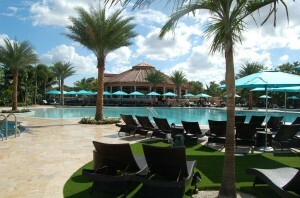 The new Club amenities – debuted to a cross-section of South Florida civic, business and community leaders and news and lifestyle media – include the $6+ million design and construction of an expansive two-acre resort-style poolscape and bistro oasis at the 100,000-square-foot main clubhouse, and a free-standing $7 million, 38,000-square-foot spa and fitness center. According to Broken Sound Club Board of Governors President Ivan Snyder, the latest phase follows the Club’s prior $13 million enhancement completed in 2011 that included the addition of a new clubhouse wing and upgrades to the design and décor. Spearheaded by the Club’s Board of Governors and dedicated member committees, and developed, directed and supervised by John Crean, CCE, General Manager and Chief Operating Officer, all new lifestyle features were designed by Peacock + Lewis Architects and constructed by The Weitz Company. The final phase of transformation generated an increase of 50 new jobs to support the expanded services at the pool, bistro, spa and fitness center. Set amidst the Joe Lee designed/Gene Bates renovated and lushly landscaped Club golf course overlooking the driving range, Broken Sound Club’s new poolscape features a sprawling contemporary free-form pool accented with a tropical style grotto, lush landscaping and waterfalls; a five-lane lap pool; kids’ pool area and heated whirlpool. The 254 Valencia-style chaise lounges surround the entire pool area complementing the luxurious ambiance of the new facility. Its children’s area that Crean refers to as the “Disney Waterpark of Boca Raton” plays to fun with a water slide, a splash pad and a jungle gym. What was once the “Pool Bar” has been transformed into “The Bistro”, a casual 4,000-square-foot restaurant with an outdoor terrace featuring both bar and table seating, three 70-inch and two 52-inch flat screen LED TVs, Wi-Fi, Bose Surround Sound and a top shelf bar. The interior showcases an ultimate avant-garde design with an open plan kitchen and a variety of seating options including banquettes, bar seating and tables overlooking the pool deck. With a display grand enough to compete with a full-service yogurt store, The Bistro serves up nine flavored frozen selections with 30 topping choices at its self-serve yogurt corner. Inspired by the mystical healing power of the stone for which it is named, the 13,100-square-foot Moonstone Spa was conceptualized by Peacock + Lewis Architects with treatment concepts and protocols, product selection, and operational fluidity created by American Leisure that has developed and managed spa programs for the Spa at Fisher Island, Spa at Williams Island in North Miami, The Spa at the landmark Plaza Athenee, NYC and Setai Club & Spa, Wall Street. 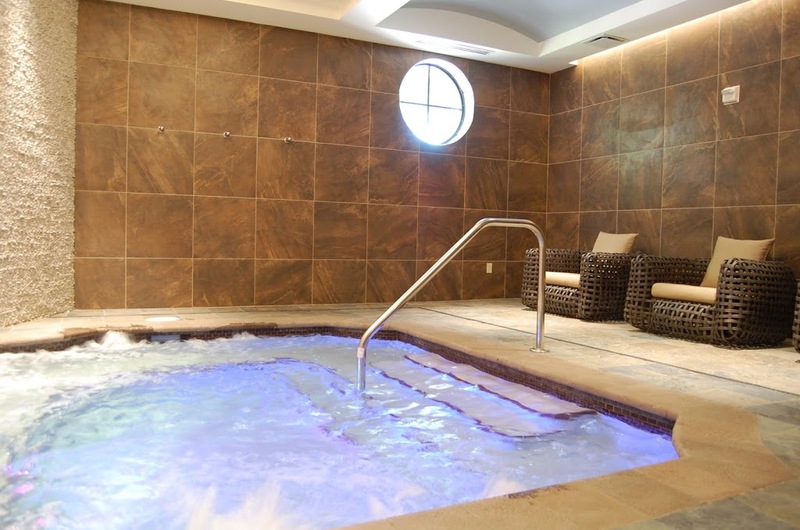 The spa, designed in warm natural tones, features six treatment rooms, plus a “Moonstone Suite” couples room, men’s and women’s locker rooms with showers, steam rooms, and whirlpools. 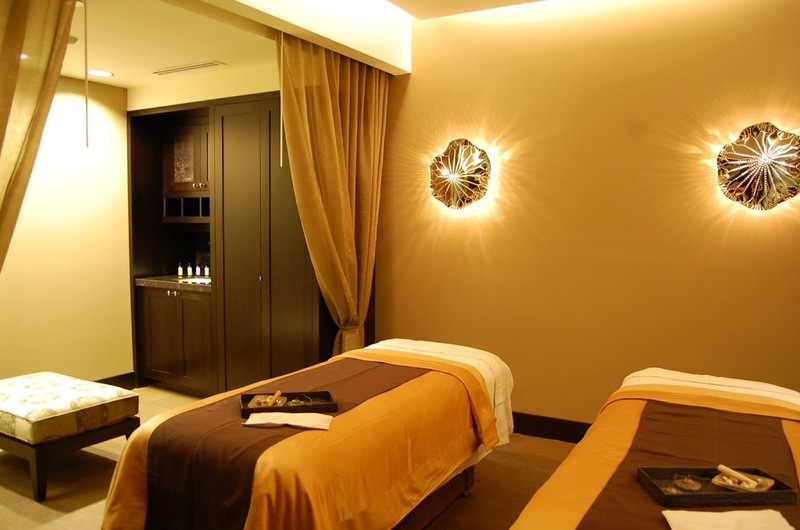 Its Relaxation Rooms, one for men and one for women, offer the comfort of custom lounges, quiet lighting, and calming scents, as guests retreat and enjoy sipping on a hot tea, fruit water and other nutritious indulgences prior to a treatment or service. To offer a diverse menu of services and treatments, American Leisure created signature massages, facials, and wraps using cutting-edge esthetics equipment and natural products for women as well as a special “men’s only” spa treatment and services menu that includes traditional barber services and manicure and pedicure options. For women there is a 2,200-square-foot salon with stylist, two hair blow dry bars, two princess rooms for private pampering, and manicure and pedicure treatments. At the Moonstone Signature Blend Bar Mix Station, every guest designs and creates their own exfoliating Body Scrub and Whipped Body Crème using all natural, vitamin-rich grape seed oil based ingredients and high quality aroma oils for the ultimate handcrafted body product. A choice of six aromas at the Blend Bar, including the signature, Broken Sound Silk made with lemongrass and eucalyptus. Just outside the door of the spa is the new 7,000-square-foot state-of-the-art fitness center offering the latest in fitness equipment, along with scheduled group classes in aerobics, zumba, cardio kickboxing, tai chi, yoga, pilates, sculpting, and children’s fitness classes in two exercise studios, and by-appointment private training sessions. The first in the area to feature Precor exercise machines, the Broken Sound Club’s new fitness center is equipped with 15 elliptical machines, 12 treadmills, 2 stair steppers, 11 recumbent bikes, a weights circuit of 20 machines, and TRX multi-mount monkey bars. Its dedicated Pilates area is equipped with six different types of equipment. According to Tompkins, the fitness center’s 800-square-foot state-of-the-art virtual spin room “rivals any area spin facility in a private residential club community fitness center.” It is fitted with the industry’s top-of-the-line Keiser bikes and a Blu-Ray projected video wall by which members can choose to be cycling through Europe, Spain, and Hawaii. A separate side screen monitors each participant’s heart rate, and gauges their calories burned and distance results so members can compete with each other. Special 2,500-square-foot section of the fitness center is devoted to wellness services, offering convenient on-site physician consultation, physical therapy, and lecture rooms. A soon-to-be announced collaboration with regional medical center will give members a distinctive wellness and healthcare advantage, not yet found at other private residential club communities. “Already recognized as one of ‘America’s Healthiest Clubs’ with the highest rating to date in the national competition’s history, our new spa and fitness center along with our lap pool and healthy dining menu options at our main clubhouse are game-changing when it comes to the Club’s health and wellness benefits for those who call Broken Sound Club home or are considering a move to a residential club community,” added Crean. Moonstone Café overlooks the Broken Sound Club 23 Har Tru court Tennis Center, with 1,500 square feet of indoor and outdoor terrace seating, serving health-full dining, lite bites, smoothies, yogurt, gelato, and more. 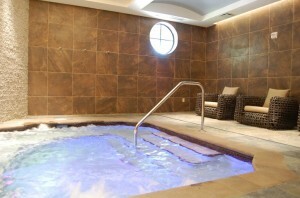 Perfect for comfortable relaxation and gathering before or after tennis/fitness/spa time. The Game Room, where the tween set gathers, features a variety of games, from air hockey, ping pong, to fuzz ball, plus two televisions: one for cartoons and movies and the other for video games. The Toddler Room is dedicated for supervised play for children ages 3 months to 5 years old, while parents and grandparents focus on fitness, wellness or rejuvenation at the center. Crean, the trailblazing lead behind the major re-developments at Broken Sound Club, is known throughout the community and club industry for his commitment to sustainability and for leading Broken Sound to the become and remain a prestigious Five-Star Platinum Club of America by the Club Managers Association of America since 2009, a distinction shared by fewer than 4 percent of the country’s 6,000 private clubs. Under his leadership, Broken Sound Club became the first in Florida and second in the nation to be GEO Certified™ — the sustainability assurance of the international non-profit Golf Environment Organization (GEO). Born during the Generation X period, Crean understands the significance of embracing and responding to evolving demographic trends when attracting prospective members and retaining current ones, the lifeblood of any private country club. For more information on Broken Sound Club, its residential villages, and club membership program, visit www.brokensoundclub.org, www.facebook/brokensoundliving, www.facebook/brokensoundclub, or contact Maureen Schreiber, Director of Membership at (561) 241-6820, or Maureen_Schreiber@BrokenSoundClub.Org. Whatever one’s passion or interest…their active enviable home life, business life, sporting life, and social life complement each other perfectly at Broken Sound Club. 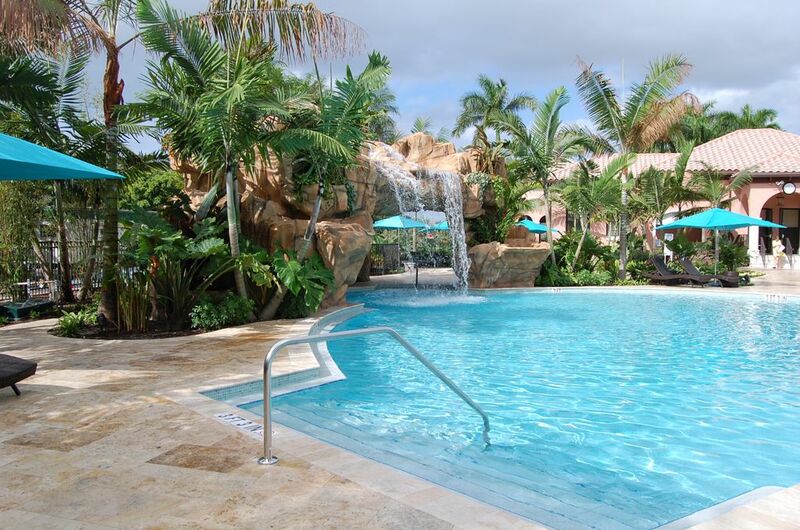 Known as the “friendly” club for its signature blend of warmth, elegance and genuine hospitality, this award-winning private gated golf and country club community offers a choice of 27 lushly landscaped intimate residential villages, each with its own character. All are just minutes away from its main 100,000-square-foot clubhouse with indoor and outdoor dining, two GEO Certified™ (golf’s ecolabel with the international mark of sustainability assurance of the international non-profit Golf Environment Organization) and Audubon Sanctuary Certified signature golf courses (one host to the PGA Champions Tour’s season opener, Allianz Championship), a new two-acre $6 million poolscape with bistro, a new $7 million 38,000-square-foot spa and fitness center, and 23 tennis courts. This 5-Star Platinum Club of America, which is also a designated Distinguished Emerald Club and one of “America’s Healthiest Clubs”, is conveniently close to two international airports, and just a few miles from the private Boca Raton Executive Airport, Boca’s burgeoning Class A office parks and vibrant Downtown, pristine beaches, A-rated public and award-winning private schools, two universities and one state college, sports arenas and stadiums, and an exciting world of shopping, dining, art and culture, recreation, and nightlife. For more information on Broken Sound Club, its residential villages, and club membership program, visit www.brokensoundclub.org, facebook/brokensoundliving, and facebook/brokensoundclub, or contact Maureen Schreiber, Director of Membership at (561) 241-6820, or Maureen_Schreiber@BrokenSoundClub.Org.